Dr. Craig reviews a New York Times interview with pastor and apologist Timothy Keller. KEVIN HARRIS: Welcome to the podcast! This is Reasonable Faith with Dr. William Lane Craig. I’m Kevin Harris. Today you are going to hear apologetics in action in the New York Times. It is an interview with pastor Timothy Keller in the New York Times. We really think you are going to enjoy this article. By the way, do you have all of Dr. Craig’s books in your library? If you don’t, you’ll want to remedy that situation. Go to ReasonableFaith.org. You will be supporting the work of Reasonable Faith whenever you make a purchase on our website as well as enriching your life and your library with the work of Dr. Craig. So go to ReasonableFaith.org. You can click on the “Donate” link right at the top of the page as well if you’d like to continue to support Reasonable Faith all over the world. We ask you to do that, and it is such a blessing when you do. Thank you for supporting us at Reasonable Faith. Dr. Craig, we talked about Alvin Plantinga winning the Templeton Prize. He has commented on another prize winner, Timothy Keller, who won the Kuyper Prize, a similar prize, from Princeton. This prize was recently rescinded from Tim Keller because of his views on the ordination of women and issues like that. Alvin Plantinga released a statement that he disagreed with the removal of Tim Keller from this prize. What do you know about the Kuyper Prize? Is this something you heard of? DR. CRAIG: The award is named after the great Dutch theologian and statesman Abraham Kuyper. Kuyper was a committed Reformed or Calvinist theologian – as conservative and orthodox as you would want. It is the heritage of Princeton Theological Seminary that it comes out of this Reformed movement. Indeed it is the denominational seminary of the Presbyterian Church in the USA. But unfortunately that denomination has moved far, far away from its moorings, and now this Abraham Kuyper award is something of an anomaly. 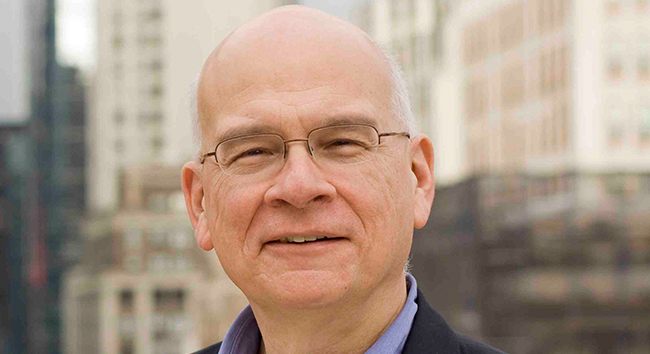 Being awarded to Tim Keller who is perhaps the most important Reformed pastor in the United States and a conservative orthodox evangelical Christian is very appropriate. The Kuyper award ought to be given to a person like Tim Keller. That makes its rescission especially ironic and disturbing – that a person like Tim Keller could not be given an award named after Abraham Kuyper by a Reformed seminary. It is just incredible. But unfortunately the Presbyterian Church (USA) conflicts with the Presbyterian Church in America over the ordination of women and the ordination of practicing homosexuals. So there were protests from Princeton Seminary alumni that Keller ought not to receive this award, and so they rescinded it under such pressure. DR. CRAIG: Isn’t that odd that in the name of diversity, diversity is excluded. I find this so bizarre that in the name of diversity (like ordination of women or practicing homosexuals) one cuts out a person like Timothy Keller who represents the theology of Abraham Kuyper for whom the award is named. It is exclusivistic and a curtailment of diversity by doing this sort of thing. Tim, I deeply admire Jesus and his message, but am also skeptical of themes that have been integral to Christianity — the virgin birth, the Resurrection, the miracles and so on. Since this is the Christmas season, let’s start with the virgin birth. Is that an essential belief, or can I mix and match? Bill, if you would, go over Keller’s response here. DR. CRAIG: I don’t think Keller responds directly to this question in the interview. Instead what he does is enunciate a general principle that one is not at liberty to pick and choose among religious beliefs and still claim to be an adherent to that religion. He gives a nice analogy. If he were a member of Greenpeace and decided that he didn’t think global warming was true, he would be asked to resign from that organization. There are certain things that are essential to one’s commitment. He thinks similarly that to be a Christian involves being committed to certain doctrinal positions, and if you don’t adhere to those you should just have the honesty to say that you are not a Christian rather than think that you can morph Christianity to become whatever you want it to be. KEVIN HARRIS: He is pretty smart to say, Let’s take some of your most liberal organizations – like Greenpeace – that are the darling of even the left. People of all persuasions can appreciate Greenpeace but they are definitely one that the left appreciates. So he uses them as an example. DR. CRAIG: Right. Rhetorically it is clever, isn’t it? Tim Keller gives a response. DR. CRAIG: What he points out is that Jesus’ teaching is not the main point. Jesus wasn’t just an ethical teacher. Rather, he came to save people through his death and resurrection from sin. Jesus’ death was seen by him as a sacrificial offering for sin that inaugurated a new covenant between God and man. Therefore the resurrection is essential to the Christian faith. I think that is why Paul could say that if there is no resurrection then we are of all men most to be pitied – Christianity is vain. Keller is strong on affirming the indispensability of the historical resurrection of Jesus to Christian faith. KEVIN HARRIS: In fact, Barnes writing in Christian Century (I was going to tell you in this other article here) is praising Timothy Keller and saying he is “among the most influential Reformed leaders in the United States. His defenders point out that he is known for his conciliatory tone, mission focus, and apologetics . . .” Timothy Keller is really known for his apologetics. He is using them here in the New York Times. DR. CRAIG: Yes, Keller’s book The Reason for God is among the most popular defenses of the Christian faith available to laypeople today. He has made an impact upon popular Christian apologetics. Bill, you could answer all these, and you do time and time again in your lectures and our podcasts. But Keller’s answer is right in line. I wouldn’t characterize the New Testament descriptions of the risen Jesus as fuzzy. That is absolutely true. In the Gospel of Mark there is an empty tomb, Jesus is risen bodily and physically from the dead, and the resurrection appearances in Galilee are foreshadowed by Mark by saying that when they go to Galilee there they will see him. In the other Gospels they are noteworthy for their palpable, physical appearances of the risen Jesus. Keller has some things to say about this non-recognition motif that characterizes some of the resurrection appearance stories. I would be inclined to think that is a theological statement that is being made there. What the author is trying to communicate is that Jesus’ presence with the disciples is not going to be a return to the way in which they knew him during his earthly ministry and sojourn with them. Now Jesus is in a new mode of existence. He is risen from the dead, and they will not relate to him exactly as they use to when he was on Earth with them. I think that non-recognition motif probably serves to underline the “otherness,” so to speak, of the risen Lord. But there is nothing that would call into question the concreteness – the spatio-temporality – of Jesus’ resurrection from the dead. Keller then turns the tables. This is interesting again rhetorically. He goes from being on the defense to being on the offense by pointing out that the fact that the empty tomb narratives feature women as the principle discoverers and witnesses to the fact of the empty tomb is a mark in favor of their credibility and historicity because in a patriarchal culture like first century Palestine women would not have been invented as witnesses to the fact of the empty tomb. You would have had male disciples, like Peter and John, discover the empty tomb if these were not historical reports. KEVIN HARRIS: He then mention N. T. Wright. I just want to tell you that I am reading The Resurrection of the Son of God right now. 800 pages by N. T. Wright. I am enjoying it immensely. DR. CRAIG: What he points out here is that Wright’s book, again going on the offense, argues that it is very difficult to explain the origin of the Jesus movement in the middle of the first century apart from the facts of the empty tomb and the postmortem appearances of Jesus. If those are unhistorical – never happened – then where in the world did this Jesus movement come from? Wright argues, I think very convincingly, that apart from the empty tomb and the postmortem appearances there just isn’t any sufficient historical explanation for the origin of the Jesus movement in the middle of the first century.
. . . if you don’t accept the Resurrection or other foundational beliefs as defined by the Apostles’ Creed, I’d say you are on the outside of the boundary. Which is a nice way of saying, “You are not a Christian.” Keller is very bold here with this interviewer. I think this is a good example of speaking the truth in love. It would be unloving to try to assure this non-Christian interviewer that he is really all right with God and that he is OK if he just lives a good life and believes as he does. That would be an unloving thing to do. Keller is quite right in offering this kind of tough love in saying if you deny these fundamental Christian beliefs then, in fact, you are not a Christian. I can just hear his very thoughtful, conciliatory tone here in saying, We need to talk individually, case by case, but Kristoff, no, you are not. We should require evidence and good reasoning . . . [for] our more familiar Jewish or Christian faith tradition. And, by implication, so should you, Mr. Kristof, for your own religious views. Are you suitably skeptical about your own religious views? Have you explored the evidence for them? But I don’t want to contrast faith with skepticism so sharply that they are seen to be opposites. They aren’t. I think we all base our lives on both reason and faith. For example, my faith is to some degree based on reasoning that the existence of God makes the most sense of what we see in nature, history and experience. Thomas Nagel recently wrote that the thoroughly materialistic view of nature can’t account for human consciousness, cognition and moral values. DR. CRAIG: Keller is obviously a well-read man. He is quoting philosophers like Nagel and Alvin Plantinga in the course of this interview. He commendably represents, I think, the model of what a pastor ought to be and traditionally has been. In previous centuries, the pastor was usually the best educated man in the town and was one to whom you could go with your questions. He was well read and well educated. I think it has only been in the 20th century that we felt pastors need to be ignorant. DR. CRAIG: Did it strike you as odd about this question that he thinks that things like human rights and morality are consistent with science and modernity? I thought that was very odd. If you take a scientific naturalistic view of the world, you are not going to have a belief in human rights and morality. Ethical values can’t be found in a test tube. If you believe in human rights and morality you have immediately transcended the limits of science and have admitted that there are sources of truth and kinds of truth that are not scientifically accessible. To me it is stunning that this secular interviewer can think that his beliefs in human rights and morality are consistent with science but that Christian beliefs are not. Keller then goes on to say that there is nothing that is illogical or incompatible with science about belief in God or even belief in miracles. If God exists then it is trivial to say that miracles are possible because a God who has created and designed the entire universe could obviously intervene in the world to bring about things that the laws of nature operating on their own would be incapable of bringing about. KEVIN HARRIS: Then Pastor Keller quotes Alvin Plantinga. You want to read that for us? Alvin Plantinga argued that to say that there must be a scientific cause for any apparently miraculous phenomenon is like insisting that your lost keys must be under the streetlight because that’s the only place you can see. That is very well put. Just because science illumines a certain area of the world where we can see things by natural investigation doesn’t mean that there aren’t other areas of reality that are not illuminated by the scientific method. Ironically, again, the interviewer’s own worldview supports that because he believes in human rights and morality which will not be found within the spotlight illuminated by the scientific method. Nietzsche argued that the humanistic values of most secular people, such as the importance of the individual, human rights and responsibility for the poor, have no place in a completely materialistic universe. He even accused people holding humanistic values as being “covert Christians” because it required a leap of faith to hold to them. DR. CRAIG: Yeah. The interviewer just doesn’t seem to get the point, does he? I would hope that secular skeptics would also question their own [faith]. Secular people should be as open to questions and doubts about their positions as religious people. amazing good work it inspires people to do around the world. But I’m troubled by the evangelical notion that people go to heaven only if they have a direct relationship with Jesus. Doesn’t that imply that billions of people — Buddhists, Jews, Muslims, Hindus — are consigned to hell because they grew up in non-Christian families around the world? That Gandhi is in hell? DR. CRAIG: This is so typical of cultural Christianity. He admires the good works that Christians do in improving the social and economic lot of people in the world, but let’s not take too seriously these doctrinal issues about sin and forgiveness, heaven and hell. Again, Keller just will not back down. He repudiates the idea that Christianity is just about redeeming culture or improving the lot of human society. He says people are not saved by being good. He says that is not Christianity. You don’t come to know God by being good. It is bad people who are saved, but who come to admit their badness and to repent of it and receive Christ’s forgiveness and provision for their sins. He emphasizes that this is available to everyone that whosoever will may come, so it is up to us to find salvation through our own free decisions. You imply that really good people (e.g., Gandhi) should also be saved, not just Christians. The problem is that Christians do not believe anyone can be saved by being good. If you don’t come to God through faith in what Christ has done, you would be approaching on the basis of your own goodness. This would, ironically, actually be more exclusive and unfair, since so often those that we tend to think of as “bad” — the abusers, the haters, the feckless and selfish — have themselves often had abusive and brutal backgrounds. Christians believe that it is those who admit their weakness and need for a savior who get salvation. Once again he is showing a contradiction in the view – in an attempt to be inclusive you are actually being exclusive. DR. CRAIG: Yes, he is, isn’t he? Because he is saying that those who are good and who live good lives and upstanding lives may have advantaged upbringings that people who are rotten and bad haven’t had because they’ve been victims of poverty, abuse, oppression, and so forth. So these bad people get excluded by these cultural Christians like Kristof. Grace is open to everyone, good and bad alike. KEVIN HARRIS: Jesus is for everyone. As we end up the podcast today, do you think Pastor Keller did a good job here? DR. CRAIG: I do. I admire the man. I think he is well-informed, and he is very dialogical in directing a conversation so as to not be on the defensive but to gently turn the tables and to go on the offensive with his partner in conversation. https://www.nytimes.com/2016/12/23/opinion/sunday/pastor-am-i-a-christian.html (accessed June 26, 2017). http://www.christianitytoday.com/news/2017/march/princeton-rescinds-tim-keller-kuyper-prize-women-ordination.html (accessed June 26, 2017).